Salaries that are paid out twice a month for employees can be a bit more complicated. We usually term it semi-monthly or bi-monthly payroll and it is usually practised by American companies or in some industries like F&B. Select 1st Half of the Month (1st to 15th of the month). If it's 2nd Half of the Month (16th to end of the month), select accordingly. 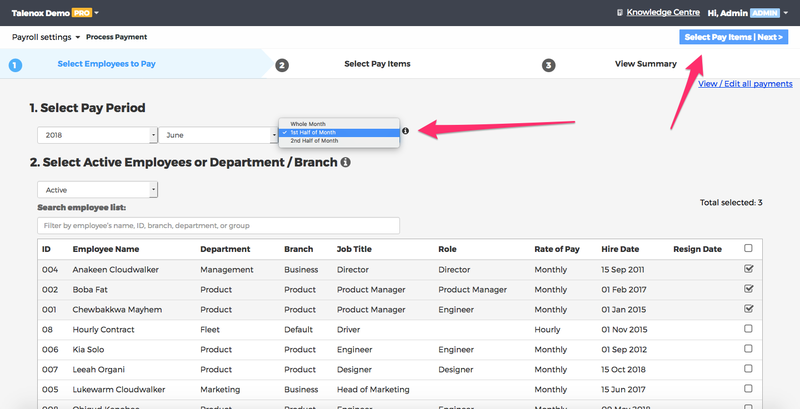 Click on "Select Pay Items | Next >"
At any point, you may add or remove employees from a payment if needed. 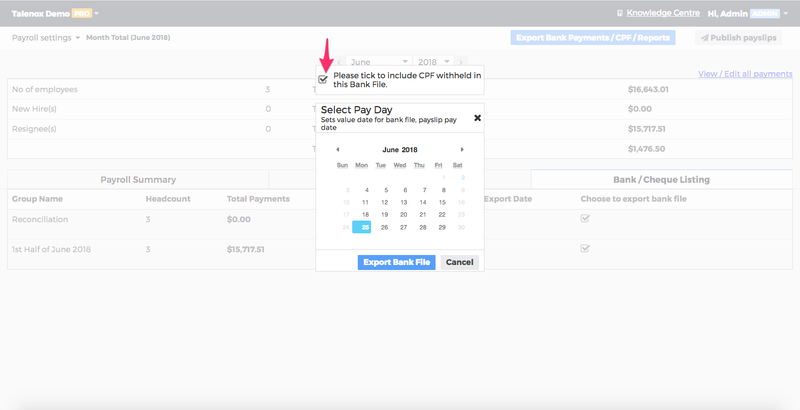 Naming a payment is helpful if you intend to create multiple payments in a month. 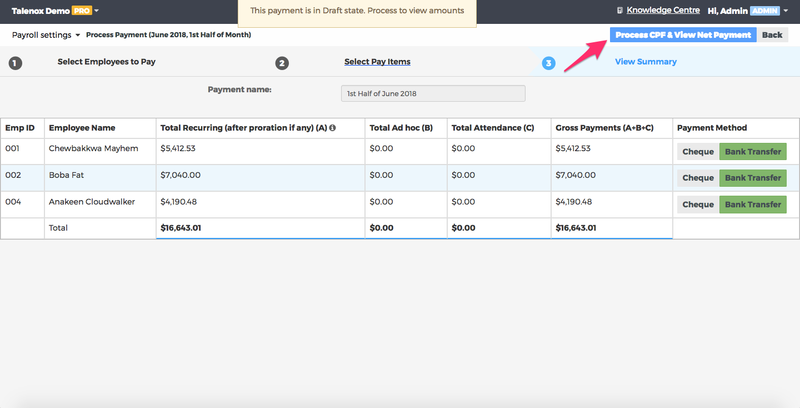 For this case, you can name it as "First half of the month"
Over at the final Step 3, you can choose to pay out by Cheque or Bank Transfer. Choosing "Cheque" just means that it won't be populated in the bank file to be exported for salary disbursement. 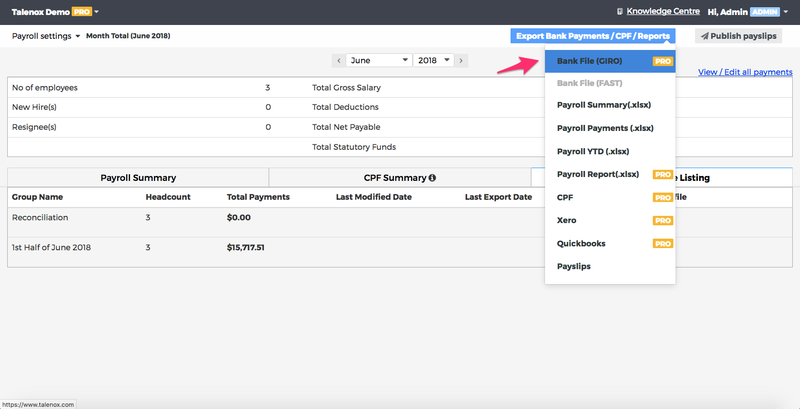 Over here at Payroll > Payroll Settings > Month Total, if you are not processing payroll for Singapore companies, you can export bank file and upload to your corporate bank account. Check if there are reconciliation. Reconciliation is designed for employees on weekly or more than once pay day in a month with less than $750.00 of salary. We withhold the max amount of CPF for employee contribution to ensure that when such employees resign, there will be enough buffer for CPF contribution. 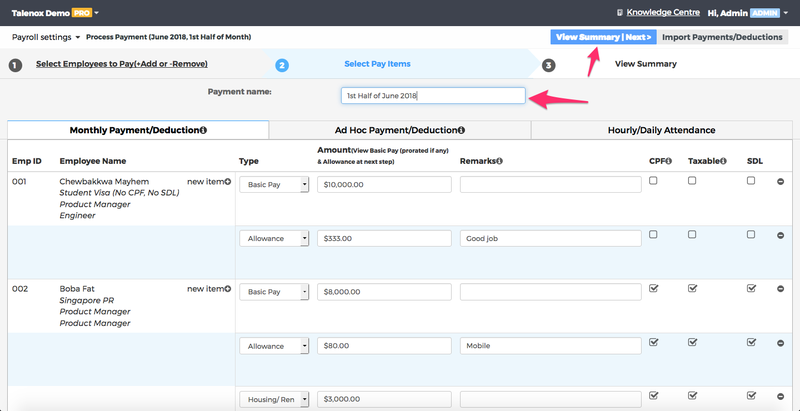 If there is a reconciliation and if it is not the final payment for the month, uncheck "Reconciliation". 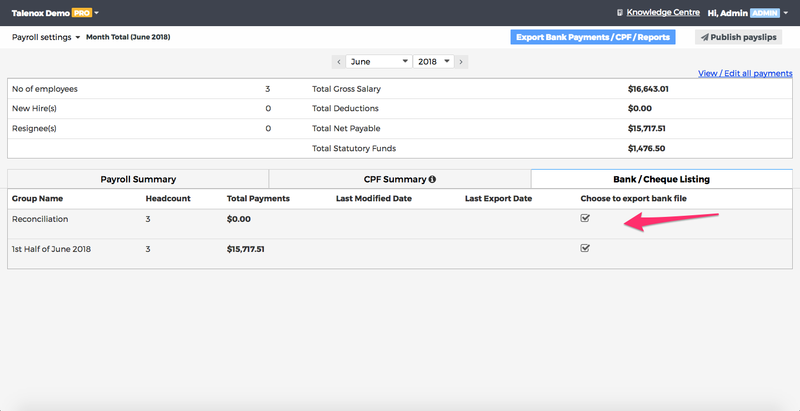 Click on "Export Bank Payments / CPF / Reports", followed by "Bank File (GIRO)". 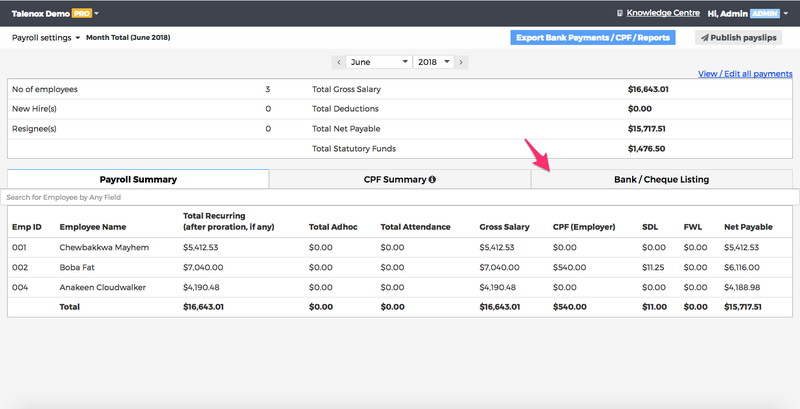 If you forgot about step 3 to uncheck reconciliation, in the final screenshot below, you can also uncheck "Please tick to include CPF withheld in this Bank File". Remember that once the final payment is process (Eg. 2nd half of the month), you'll have to pay out the amount in the Reconciliation file.